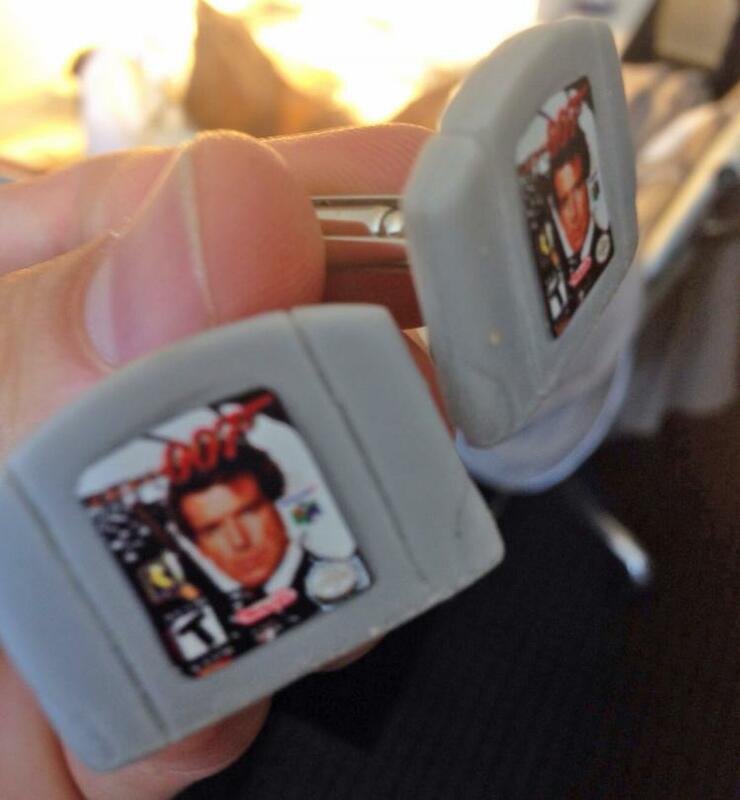 Without a doubt the greatest game made for the Nintendo 64, Goldeneye was one of the first games I became a master at. 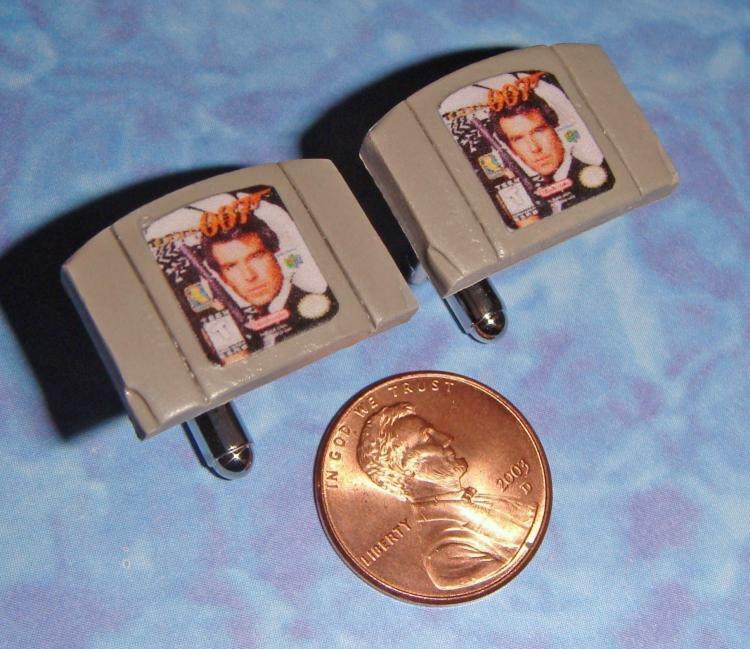 I would learn the popup points when playing in multi-player mode and kill people instantly as they appeared, completed levels in record times to get cheats enabled, and would even let people play as Oddjob when I played against someone to give them a little assistance, even though choosing Oddjob in multi-player is borderline illegal in most states. 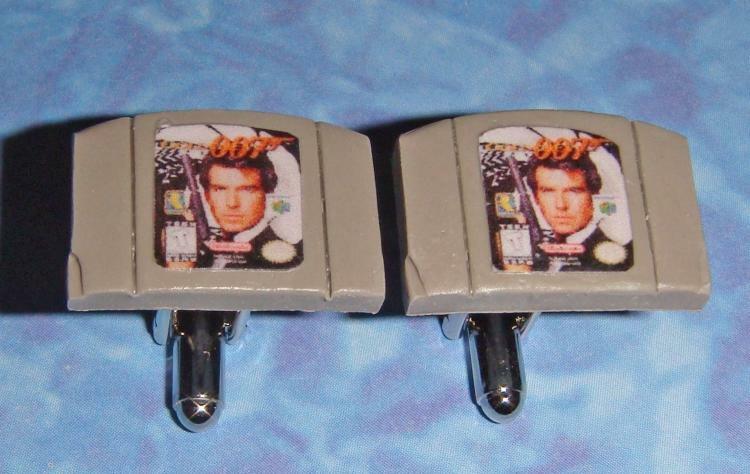 But, with all this love for Goldeneye, would I go as far as to use Goldeneye Cartridge cufflinks in my wedding? 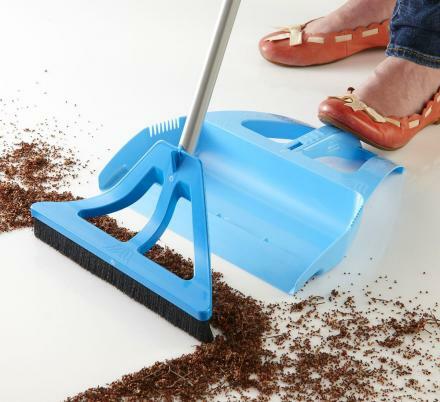 You better believe it, but it would never happen, because it would never get the approval of your soon-to-be-wife. 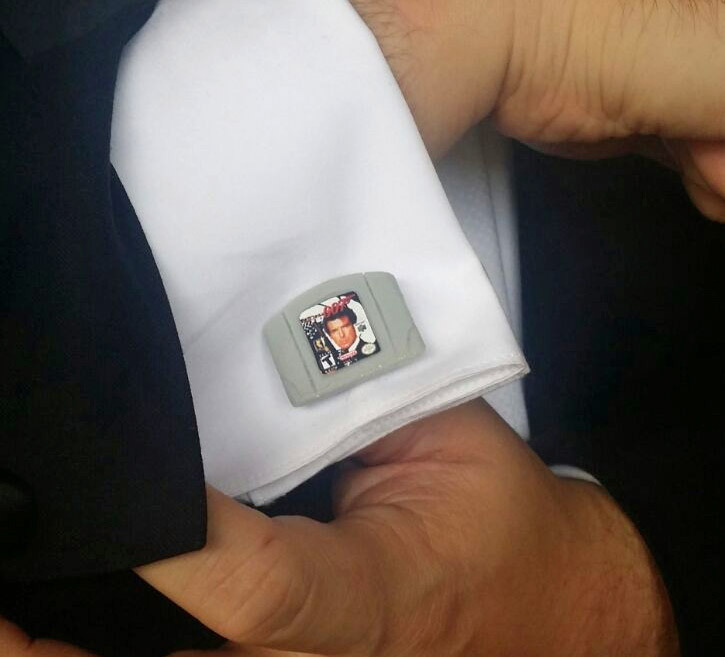 The Goldeney Cufflinks are created by Etsy store TheClayCollection, a maker of geeky and pop-culture referenced cufflinks, with others including LEGEN-DARY cufflinks, Super Mario Bros question mark box cufflinks, Bitcoin cufflinks, and even Mortal Kombat cufflinks. 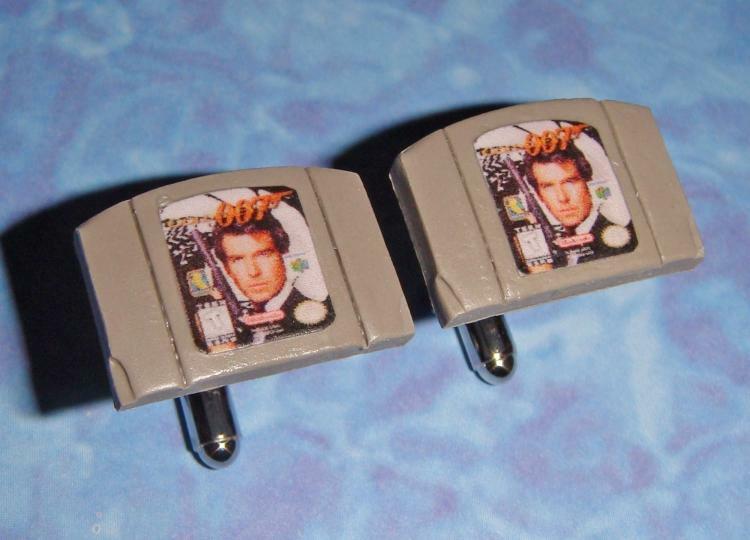 The Goldeneye 007 Nintendo 64 cartridge cufflinks are handmade from polymer clay, come in standard grey or gold, or you can can get grey on one side and gold on the other, unfortunately do not actually work if you stuck them into your N64, and each cufflink is just about the size of a penny. 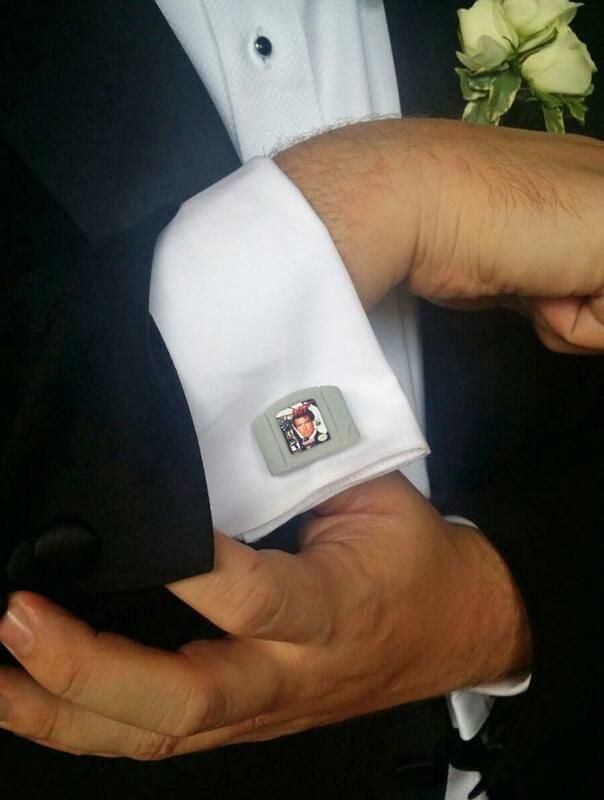 Check out the pictures below of a Reddit user that received the Goldeneye cufflinks as a wedding party gift to be used in the wedding ceremony.